The veteran Chicago art dealer Richard Gray, who opened his namesake gallery in 1963, has died at home, aged 89. The dealership, which today includes two locations in Chicago and a space in New York, will continue under the direction of his son Paul Gray, and the partners Andrew Fabricant and Valerie Carberry. Born and raised in Chicago, Gray enrolled in engineering at the University of Illinois’ city campus, expecting to join his father’s construction business, but soon transferred to the Urbana-Champaign campus to study architecture. After serving in the Air Force in Europe, Gray returned to Chicago and in 1953 married Mary Kay Lackritz, whose family owned paintings by Miro, Kandinsky and Pollock. He soon started to develop an interest in the visual arts and his friend, the sculptor and critic Harry Bouras, gave Gray the idea to open a gallery after he organised a show at his father's summer resort in 1963. With his son Paul, Gray grew the gallery from a small rented space into one of the city’s mainstays, expanding last year with a warehouse space in West Town, and became known for his roster of international Modern and contemporary artists. He was an early supporter of the Spanish artist Jaume Plensa, and helped secure the commission for his Crown Fountain in Chicago’s Millennium Park. As well as helping to found and serve as an early president of the Chicago Art Dealers Association (1967-1975), he was the first dealer outside of New York to be voted president of the Art Dealers Association of America in 1998. 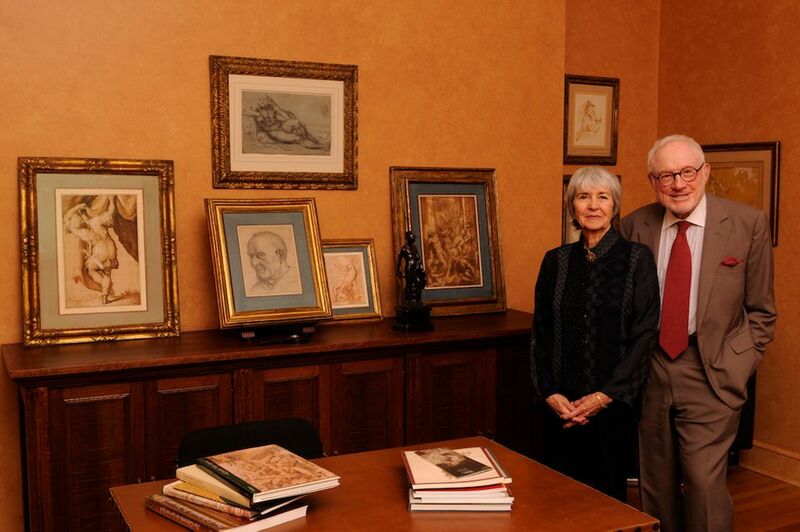 He was also a trustee of the Art Institute of Chicago, which named a wing after Gray and his Mary in 2008 that shows the couple’s extensive collection of prints and drawings, the Chicago Symphony Orchestra, and the Smart Museum at the University of Chicago, among other institutions. In 2013, the university opened the Richard and Mary L. Gray Center for Arts and Inquiry, where artists collaborate with scholars.